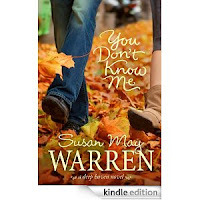 I'm a Susan May Warren fan, having first discovered her with her in the first book in the Deep Haven Series. I haven't had the chance to read much more from her. I did get my hands on the Noble Legacy Series for a bargain at my local Christian book store. Look out for the reviews on them in the coming weeks. 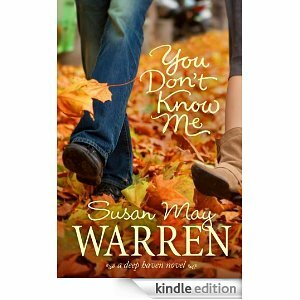 So I was looking up Susan on Amazon and I cam across her soon-to-be-released You Don't Know Me (released October 1, 2012). What I love about this cover is the leaves and the colour. It appeals to my sense of quiet and calm. I want to be walking among those leaves and talking with someone. I also really like the font of the title - it's just nice.